While there was no substantive talk between the two leaders, they did spend almost three hours in a 'convivial' atmosphere. After the cold vibes on Wednesday, Prime Minister Narendra Modi and Pakistan Prime Minister Nawaz Sharif shared some warmth on Thursday, as they shook hands and shared a laugh at the end of the 18th SAARC summit. After the summit got over, Modi was seen talking to Nepal Prime Minister Sushil Koirala, while Sharif was seen talking to Sri Lankan President Mahinda Rajapaksa. 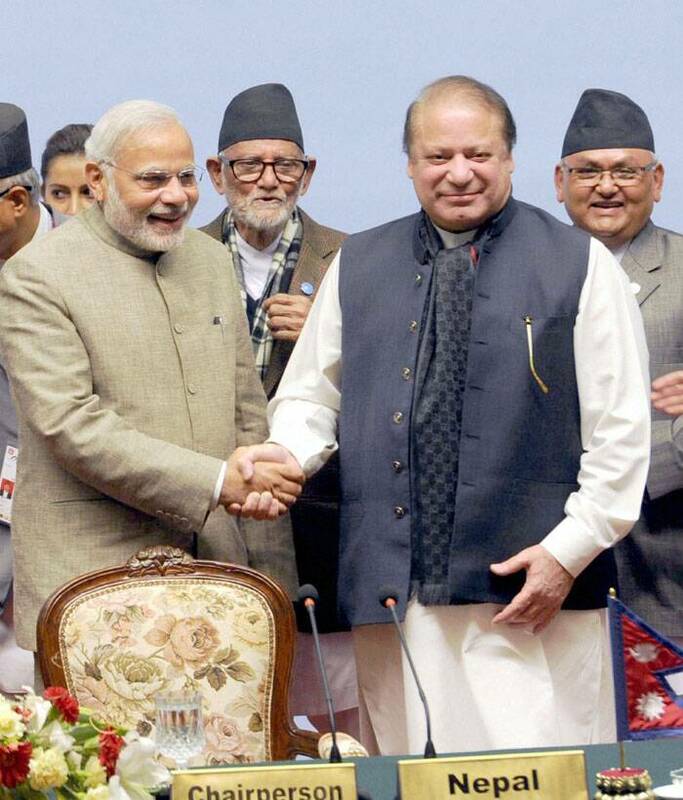 Modi and Sharif then moved on to other leaders, meeting them and shaking hands, till they came face to face. As they shook hands and laughed, the other delegates, including SAARC foreign ministers, foreign secretaries and officials, applauded. While there was no substantive talk or a meeting between the two leaders on Thursday, they did spend almost three hours in a “convivial” atmosphere at the Dhulikhel retreat along with the remaining six SAARC leaders. They exchanged pleasantries at the Dhulikhel retreat, and were seen talking to each other in smaller groups. They were also seated at the same table for lunch. “Dhulikhel mein baat bhi hui, mulaqat bhi hui (They met and spoke in Dhulikhel),” said Syed Akbaruddin, the Ministry of External Affairs’ official spokesperson. 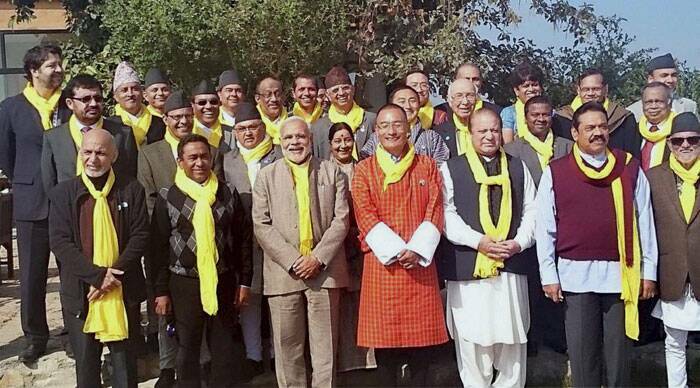 Officials said the leaders were on their own at Dhulikhel, and nobody else was privy to their discussions. Modi spent a lot of time with Afghanistan President Ashraf Ghani and Bhutan Prime Minister Tshering Tobgay. 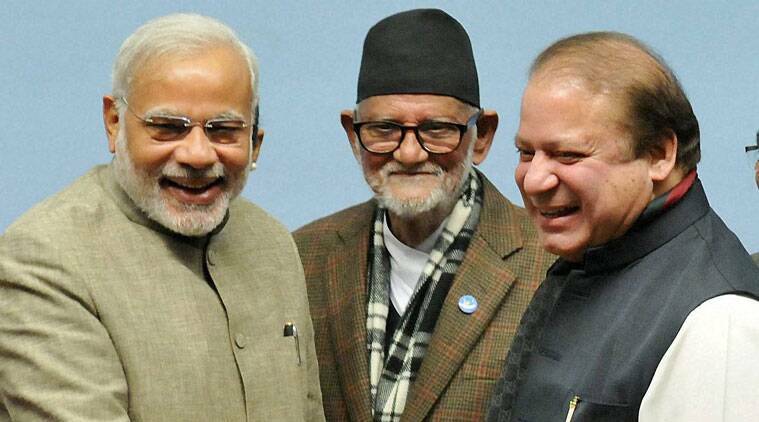 Nepal government sources told The Indian Express that Koirala made an informal suggestion to Modi to take the lead and break the ice with Sharif. The Indian side said Koirala created an “enabling environment” at the retreat for the leaders to get together informally. “Today’s retreat in Dhulikhel remained another important occasion where we held informal discussions on important issues. Our discussions and deliberations were held in a very friendly and cordial atmosphere,” Koirala said at a press conference.